Why am I missing the greatness here? It needed more gold, more razzle-dazzle. On track I think it will look lost and the glossy finish will hide the logos. We've always had a laugh at the closing part of Goldfinger where the U.S. Air Force Lockheed JetStar has the flag on the tail the wrong way. It looks more like the black livery that AGS used to use in the late 1980s and 1990 and that team wasn't exactly at the front of the grid. I like the idea of Haas going for a different livery, assuming that the team sticks with it, but I don't see the wow factor here. I do like the tires (tyres for those of you across the pond) on the side view of the car. The front is set so that Pirelli is straight across the top and the rear one has P Zero the same way. The white even looks a bit silver. I'm across the pond and still say "Tyres" ... "Crisps" ... "Chips" etc. The more I look at the media shots of the new HAAS paint job, I really do like it and hope it reached the track on race day, looking just as good as the launch shots!! It's nice to see ZZ Top get involved in the 2019 project. .. of course, I am referring to the Sharp Dressed Man on the Left. Surely Calman you mean Z top, there's only one of em. .. the other Z is just outside the photo. I guess he didn't have the Legs and was wearing Cheap Sunglasses at the time, so he wouldn't Give it Up and join the photo op. HAAS, next time, get Rowan Atkinson to do the honours, would be 1,000 times more professional/efficient. It was a bit of a slow burner but we got there. I didn't like the way she described the car as looking dangerous....That mixed with Grosjean could be very dangerous. I am glad my Fernando is safely away from Grosjean in another black and gold missile. 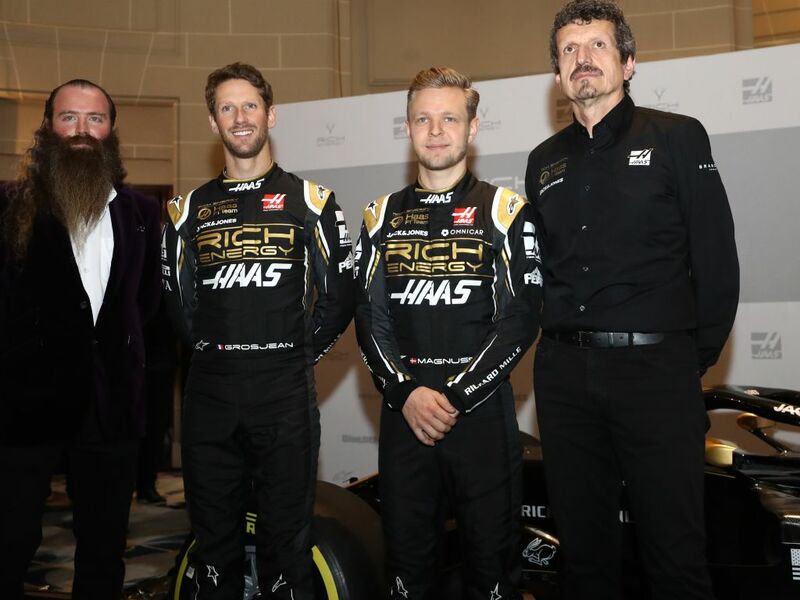 The HAAS guys (team personnel and drivers) handled themselves very professionally, but her presentation was, well, for want of a better term "pants". The whole mix up over unveiling the car from the front or back and the uncomfortable lead up and interview with Kev, well, it was painful!!!!!! (make mental note not to present K-Mag with the term "A Vengeance"). It felt like someone threw her into the middle of a club dancefloor and the only track she knew was "The Birdie Song". I guess that part of the proceedings could have been worse. For instance, when Martin Brundle asked Chase Carey what he thought of the F1 cars on the grid .... his answer "Very Loud!". Apparently, and unsurprisingly, in the 'renders' of the 2019 car that were released before the launch event (oops) you can see that Haas will be using the 2018 Ferrari 'style' triple stacked exhaust pipes.